RGNIYD Kancheepuram Recruitment 2018 2019 Application Form for 08 Junior Assistant Posts Download Application through Official website http://rgniyd.gov.in. 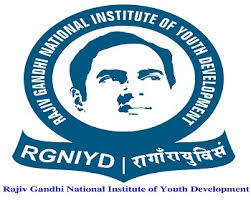 RGNIYD Kancheepuram Junior Assistant Jobs Notification 2018 Released. RGNIYD Kancheepuram invites Walk in Interview for appointment in following Junior Assistant post in Rajiv Gandhi National Institute of Youth Development. Candidates are requested to Download Application through Official website http://rgniyd.gov.in. Prospective candidates will have to before Walk in Interview carefully reading the advertisement regarding the process of examinations and interview, eligibility criteria, Offline registration processes, payment of prescribed application fee/intimation charges, RGNIYD Kancheepuram pattern of examination, RGNIYD Kancheepuram Syllabus, RGNIYD Kancheepuram Question Paper, RGNIYD Kancheepuram Walk in Date, RGNIYD Kancheepuram Result Date etc. Educational Qualification: Bachelor’s Degree from a recognized University or Institute or College with a minimum of 60% marks. Experience: 1) Experience in administration / academics / accounts / examination section in the Central Government Institution like IITs, NITs, IIITD&M, IIM, Etc. 2) Experience of working in E-Office System. 3) Knowledge of working in MS Word, MS Excel. 4) Working Knowledge in Tally ERP 9 for those candidates who are recruited for Accounts Section. 5) Knowledge of Rules and Regulation of Central Government, UGC Rules, Etc. Age Limit: Not Applicable. Retired Central Government Employees may also apply. Duly filled in application form in the prescribed format (available in the institute website : www.rgniyd.gov.in) along with original certificates and one set of self-attested photo copy of certificates in support of educational qualification and experience with a valid photo ID card (Aadhar Card, Driving licence, Election Photo Identity Card or employment ID card issued by the Government of India or Government of the State) should be produced at the time of walk in interview to be conducted at Conference Hall, Rajiv Gandhi National Institute of Youth Development, Chennai to Bangalore Highway, Sriperumbudur, Kancheepuram District, Tamil Nadu.